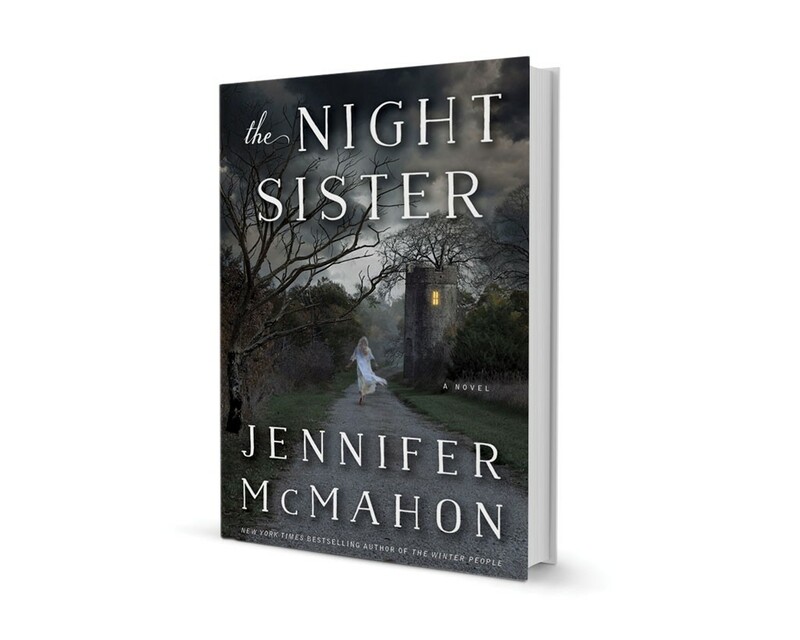 The Night Sister by Jennifer McMahon, Doubleday, 336 pages. $25.95. With seven popular suspense novels under her belt, Jennifer McMahon of Montpelier has carved out a niche as a writer of modern Vermont gothics. Many of her books pivot on that hoariest of genre tropes: the disappearance, abduction or mysterious transformation of a young girl. But, unlike the white-gowned maidens of old-time gothics, McMahon's doomed adolescents have a believable brattiness and bravado. You can imagine these girls living in the backwoods Vermont of rusting mobile homes and shuttered town granges, not the romanticized-for-tourists version. Take Amy, one of the central characters in McMahon's latest book, The Night Sister. At age 12, she "smelled like Love's Baby Soft and strawberry lip gloss" and "tucked a chunk of her pink bangs — dyed with Jell-O — behind her triple-pierced ear." It's the summer of 1989, and Amy has the run of her family's defunct midcentury motel, closed since the interstate passed it by. Like so many of McMahon's heroines, she's headstrong and dangerously precocious, flirting with the affections of three more timid friends — sisters Piper and Margot and outsider Jason, all of whom admire or desire her. But the danger Amy represents won't come to fruition for decades. In the chilling scene that opens the novel, grown-up Amy marches into her family home with a Winchester rifle. Jason, now a cop, is the first to witness the aftermath: a family brutally slaughtered, except for one quivering young survivor. Was Amy the perpetrator of the carnage, as it initially seems? Or a victim? To answer that question, McMahon ably spins her story in three alternating time frames. In 2013, Piper and Jason try to puzzle out the meaning of the message Amy left behind: a photo from the motel's glory days scrawled with the words "29 Rooms." (The motel has 28.) In 1989 — which we view through Piper's memories — the younger versions of these characters discover the motel's secret history. And in the 1950s, we follow Amy's mother, Rose, as she helps her parents run the motel with her older sister, Sylvie. It's Sylvie, an aspiring actress, who points out the similarities between the ill-fated Tower Motel — adorned with a freestanding faux-medieval turret — and Norman Bates' iconic business. McMahon milks that creepy parallel for all it's worth, weaving film history into her fiction. Alfred Hitchcock famously came to Barre in 1955 for the premiere of The Trouble With Harry, which he had filmed in Craftsbury Common. Among the onlookers in the novel is starstruck Sylvie, who writes a series of fan letters to the director that grow more suggestive and sinister as they progress. Meanwhile, Rose becomes convinced there's something wrong — perhaps even monstrous — about her sister. As a suspense writer, McMahon excels at windup, inviting breathless page turning and sowing the seeds of dread with care. Folklore, sibling rivalry, liminal experiences (some of Rose's nightmares suggest sleep paralysis) and the inherent uncanniness of abandoned places all add to the shiver factor, keeping readers guessing about what may or may not lurk around that tower. If only the revelation were so unsettling. Follow-through is not McMahon's strength, and when all is revealed, the novel's elaborate, half-century-spanning conceit deflates into that of a pretty standard beach read. Part of the problem is that the characters in the protagonist positions — Piper and Jason — are the least interesting. They're also not the world's greatest detectives, delaying a key interview and sometimes failing to make obvious connections. It's the young Amy, Rose and Sylvie who awaken our fear and sympathy, making the two flashback narratives far more compelling than their 2013 resolution. McMahon's vision of the monsters that hide among men lacks the resonance of Hitchcock's; it doesn't haunt us after the book is done. Far more memorable are her atmospheric vignettes of the Tower Motel's life and death: Amy roller-skating in the dry pool; Rose refusing to heed harbingers of the business' downfall. In its heyday, the motel draws tourists with a "chicken circus" and a cow bearing a spot shaped like the state of Vermont — "things no one on the highway has," Rose insists. But the reader knows the motel will fall prey to speed and convenience, like so many bits of quirky Vermontiana before it. The anachronistic tower will crumble bit by bit, leaving whatever haunts it to haunt in relative peace. McMahon signs books with Coleen Kearon on Friday, September 4, 4 to 6 p.m., with a reading at 6 p.m., at Bear Pond Books in Montpelier. McMahon also appears on Thursday, October 1, 7 p.m., at Phoenix Books Burlington. The original print version of this article was headlined "Quick Lit: McMahon Spins a Tale of Motel Hell"